Is it something that you let destroy you, or do you use it to get better? The textbook definition of failure is “a lack of success or falling short.” Often times, we’ll blow a perceived failure out of proportion as if it’s the one thing that will finally doom us. What we need to realize is that everyone fails, and we should use failure to get better. The most successful people in my life are the ones who have failed the most; whether that is in business, sports or life in general. The reason they are different is that they used their failures to learn what didn’t work and apply that knowledge to doing things differently. The only way to truly get better is to fail. The only thing failure tells us is that something didn’t work. It’s literally that simple. 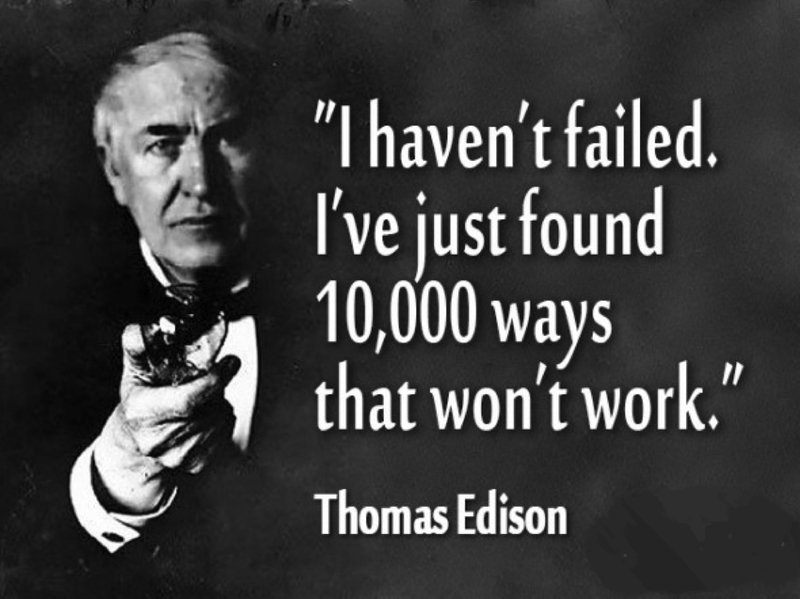 When we know what didn’t work, we can apply that knowledge to making it finally work after more attempts (do I need to break out the “Thomas Edison inventing the light bulb story”?). The only time failure destroys us is if we have a mindset that lets this happen. Every time we fail is just getting us closer to being successful by using those lessons as building blocks to get to ultimate success. Failures are just lessons, and if you don’t have lessons, you will never learn. Everyone gets knocked down, but the successful ones keep getting back up.